"How deep are we?" "47 meters." "I'm so scared!" Another scary shark horror movie? Why not! A trailer has debuted online for a film titled 47 Meters Down, about two sisters who are trapped inside a shark cage at the bottom of the ocean. This seems just a little bit freakier than The Shallows, considering they're trapped underwater, inside a shark cage, with only so much oxygen left before they run out. Mandy Moore and Claire Holt star, with a cast including Matthew Modine, Yani Gellman, and Santiago Segura. This looks exactly like you would expect - there's no surprises here. I'm curious if they'll keep the "47 Meters" title for America, since most aren't familiar with meters, but it works (and FYI, 47 meters = 154 feet). Enjoy. 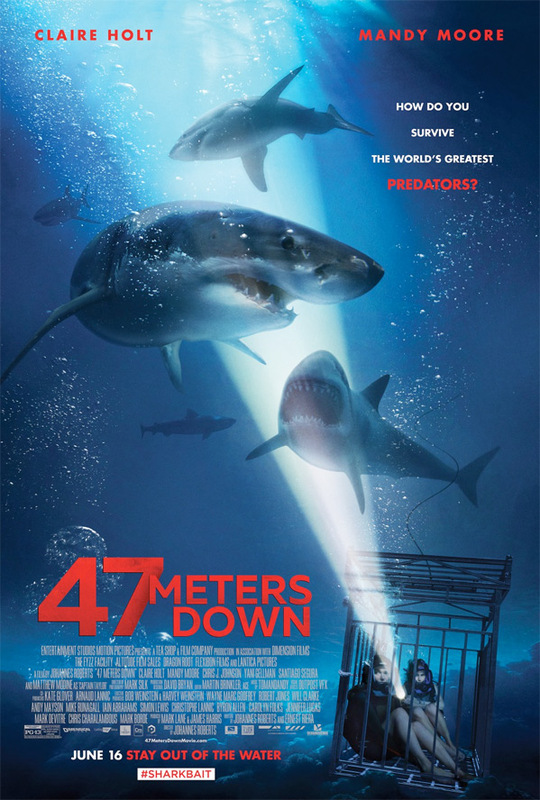 For more info or updated, follow 47 Meters Down on Twitter @47mdown, or visit the official website. Two sisters (Claire Holt & Mandy Moore), vacationing in Mexico, are trapped in a shark cage at the bottom of the ocean, with less than an hour of oxygen left and great white sharks circling nearby. 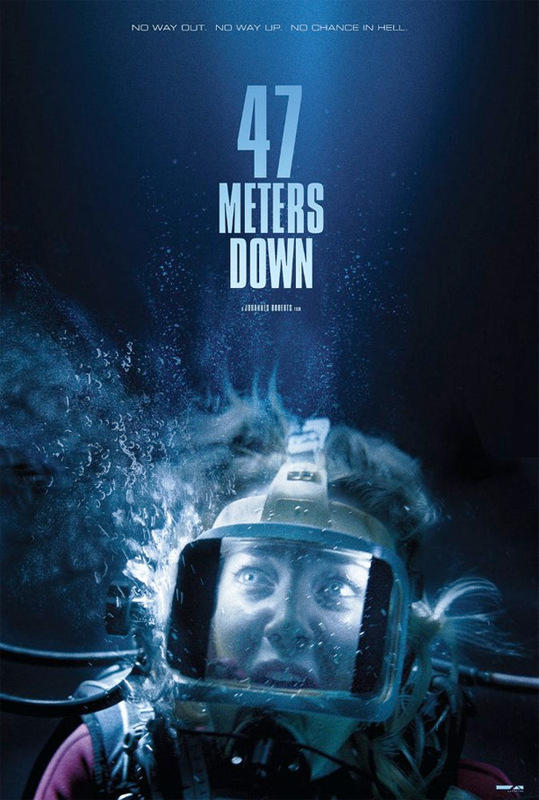 47 Meters Down is directed by veteran English filmmaker Johannes Roberts, of the genre films Sanitarium, Hellbreeder, Darkhunters, Forest of the Damned, The Expelled, Storage 24, and The Other Side of the Door previously. The screenplay is written by Johannes Roberts and Ernest Riera. The film hasn't premiered at any festivals. Dimension Films will open 47 Meters Down starting June 16th this summer. Who's excited?